Designed to match our bridal shower gifts invitations, these cards are a great way to thank all those party guests who gave you great gifts at your bridal shower. 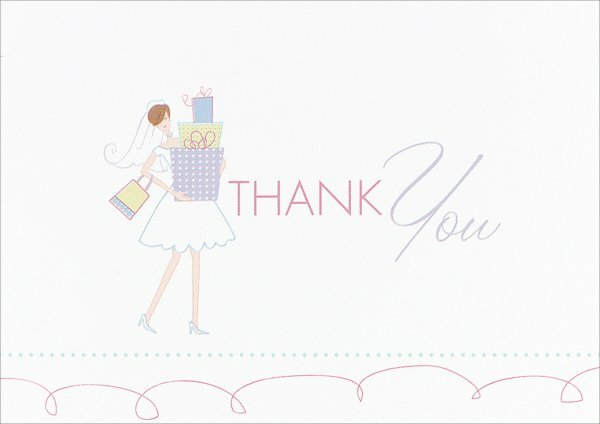 These white note cards feature the bride carrying a stack of presents illustration along with a thank you message on the front (blank inside). Sold in sets of 25, the note cards measure 4 7/8" x 3 1/2" when folded, and are printed on 100# high white paper.